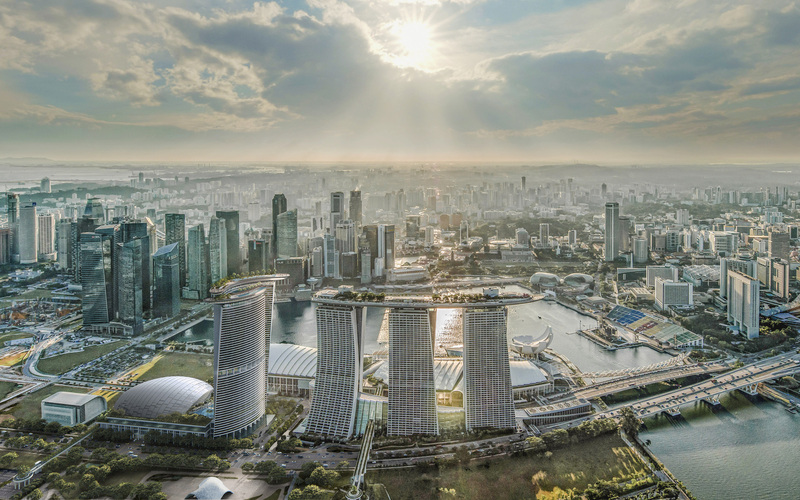 "Building on our long-term partnership with Las Vegas Sands corporation, we are delighted to embark upon a design for a major new addition to the iconic Marina Bay Sands in Singapore," said Safdie Architects. Plans have been revealed to extend its Marina Bay Sands hotel in Singapore by adding a fourth tower. The new stand-alone tower will contain more hotel rooms and take cues from the existing glass buildings, which were completed on Marina Bay in 2011. Alongside the tower, the studio will also design a new entertainment district with a state of the art 15,000-seat music arena, meeting rooms, ballrooms and exhibition halls. The arena will be designed with "cutting edge technology" and is intended to play a "key role in bringing new and repeat visitors" to Singapore. Though the expected date of completion is undisclosed, Las Vegas Sands has said work is expected to "quickly begin" on the project. Read the full article at dezeen's site.